Tourist from all over the world head to Negril each year for their holiday in the sun. Negril have been a great draw for tourist since the early 1950's, when it was just a pack packer's paradise. Negril has grown over the years to be one of the most popular holiday destination in Jamaica for the more easy going crowd. Holiday makers flock to Negril each year to just relax and enjoy the easy going atmosphere. The popularity of Negril is driven mainly by it's seven miles long beach, that seem to go on forever. Some area of the beach is reserved for adult only guest at the Hedonism II hotel and the island off its beach. The beach stretch from Bloody Bay all the way to Negril Cliffs. You will find the main larger hotel resorts and smaller holiday accommodation along this beach. The expanse of beach provide an ideal location to take a boat trip out to one of the popular snorkelling sites including Royal Reefs, Coyoba, and Seaworld. The bay is shallow and not many reefs close to the shore for people with personal snorkelling equipment unless you are at either end of the beach. Therefore you will need to take a snorkelling trip out to one of the reefs, where you can safely snorkel in the shallow waters of the coral reef. Once you are onboard the boat we will head out to the reef to start your snorkelling adventure. You should take the opportunity before you get to the reef to take some pictures of the beautiful coastline of Negril. Because the view from your snorkelling boat is something to behold. You can take your time to appreciate the beach that stretch for miles in front of your eyes. If you are going snorkelling Negril West End coast, you will be able to view all the beautiful scenery along Negril's cliffs and take some picture postcard snaps. At the reef we will drop anchor in the sheltered water of the reef ready for your snorkelling trip. We will help fit your snorkelling gear and make sure you are familiar with the snorkeling equipment before you start your adventure. You are now ready to take you plunge into the clear, warm waters and start to explore. You will be accompanied by a guide who will show you all the best spots on the reef to see spectacular coral formations and fish. We offer pickup and drop off services for our hotel and villa customers. We provide you with a qualified crew who have years of experience teaching and supervising snorkelling trips. 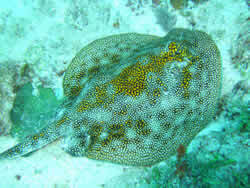 We provide all your dive equipment including snorkeling masks, life jackets, and flippers etc. You all get a fully equipped boat and crew, who will take care of you throughout your snorkelling trip and be your snorkel guide. We also provide refreshment on some of the snorkelling packages so please let us know if your want us to provide you with refreshment and light snacks. At the coral reef, you can swim amongst the bright colorful corals, observe a vast variety of beautiful tropical fish in there natural environment and the vibrant marine life. Some of the most abundant species of tropical fish on the coral reef are angel fish, butterfly fish, cardinals, clown fish, damsels, dart fish, dwarf angels, eels, file fish, goat fish, gobies, groupers, grunts, hawk fish, hogfish, jaw fish, lion fish, puffer fish, rabbit fish, rays, sea horses, snappers, triggerfish and wrasses. The most common species of corals are brain coral, bubble coral, carpet anemone, clubbed finger coral, club-tipped anemone, cup coral, elkhorn coral, flowerpot coral, green anemone, lettuce coral, purple base anemone, red cauliflower coral, sea fan, sea mat, sea whip, staghorn coral, star coral, sun coral and torch coral. Per person (including boat ride, all equipment, captain and snorkelling guide. Group discount available  10% plus. 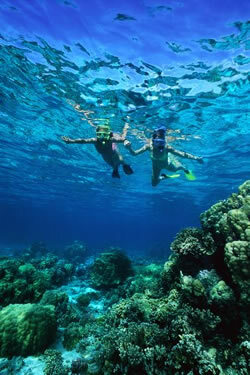 We offer pickup and drop off for our snorkelling trips from the following Negril hotels and villas. We also pickup from other holiday properties not listed here, just ask when you make your enquiry.